Sideload iOS Apps Using Cydia Impactor Tool on Windows/MAC Without Xcode: All of you must be knowing how to sideload iOS apps to your iPhone/iPad using Xcode; but there is a disadvantage to that method as Xcode is a MAC only software and can’t be used on Windows or it will require running of a Virtual Machine. This post will put an end to this as we are going to discuss about a great application ‘Cydia Impactor’ through which we can sideload iOS Apps without Xcode. So read more to get to know about the process to Sideload iOS Apps Using Cydia Impactor to iPhone/iPad on Windows/MAC Computer Without Xcode/Without Jailbreak. Also read: Download Pro Evolution Soccer 2017(PES 2017) Apk for Android. The biggest advantage of this method is that it doesn’t require a MAC Computer for the procedure and further no jailbreak is required. 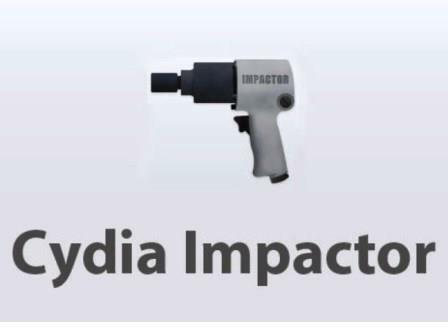 Kindly note that Cydia Impactor is in beginning phases of release so if you get some issues in the application then do report so that the bugs are fixed. Without delaying anymore let us show you the process to Sideload iOS Apps Using Cydia Impactor to iPhone/iPad on Windows/MAC Without Xcode/Without Jailbreak. You should have the latest iTunes software installed on your Windows/MAC PC/Computer. Do select the correct OS while downloading Cydia Impactor. Extract the contents of the downloaded file. 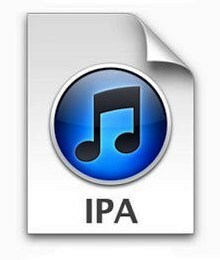 Now there is a need of an .ipa file of the application that can be installed on your iPhone/iPad through Cydia Impactor. DEB files don’t work with Cydia Impactor. Connect your iPhone/iPad to your Windows/MAC PC. From the extracted file run the Cydia Impactor executable file. Now Cydia Impactor Window will pop-up. Select your iDevice from the drop down menu of the window of Cydia Impactor. Drag and drop the .ipa file into Cydia Impactor window. Now you will be required to enter login credentials of an Apple Developer id. Free or paid both will work. Apple Developer id can be made from the following link: [https://developer.apple.com/]. Click on ‘Account’ option in the webpage that gets loaded up. Click on OK after you’ve entered the Apple Developer id. Kindly note a free developer account give the application a certificate that lasts for 7 days. So after 7 days you will be requiring to repeat the above process. However paid Apple Developer account gives one year validity to the certificate. When you receive a dialogue warning advising that any existing Apple Developer certificate will be revoked and replaced, select OK to continue. Cydia Impactor itself will get the relevant certificate from Apple’s Developer Portal. It may take some time. Be patient. Once the application has been side-loaded you will see the icon of the app on your home screen. Do trust the profile of the app by going to Settings -> General -> Profiles before launching it. Do check: Dr. Fone iOS Screen Recorder for iOS(iPhone/iPad) to Record Device Screen. So folks that was the process to Sideload iOS Apps Using Cydia Impactor to iPhone/iPad on Windows/MAC Computer Without Xcode. Download Tutu Helper for iOS/Android Without Jailbreak[*Pokemon Go]. Multiple SnapChat Accounts One iOS(iPhone/iPad) Without Jailbreak. In case you get any issues or have any queries feel free to comment and you will be provided with your required answers on priority basis.